When I go to the grocery store, one of my favorite things to look for is new and obscure items. 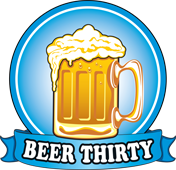 A lot of them seem to come from the beer & cereal aisle. 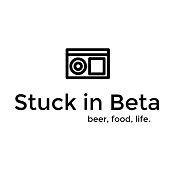 In fact, I probably have more posts about beer and cereal than any other food item. I guess that makes me a mix between Otis the drunk from Andy Griffith & Jerry Seinfeld. So, you can call me Otis Seinfeld if you’d like. A new cereal from the good folks at Kelloggs. 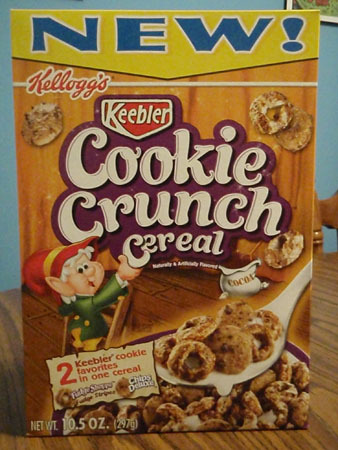 This time they teamed up with Ernie the Keebler Elf to make a cereal that’s almost ripping off Cookie Crisp. 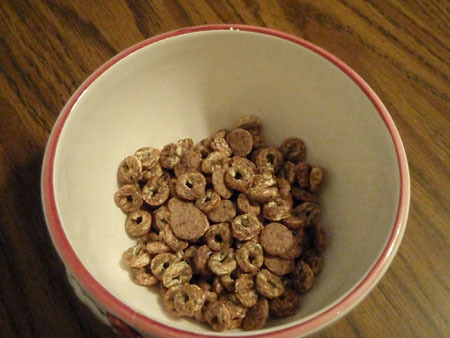 Except, apparently, this cereal is “crunchy” instead of “crispy”. 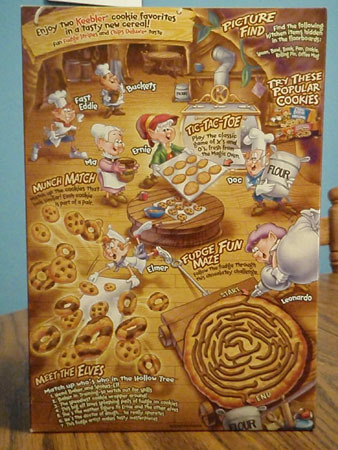 Here we see the back of the box which shows the elves at work. We see the popular Ernie but we also see Fast Eddie, Buckets, Elmer, Doc, Leonardo, and Ma. Ma? There’s a Ma Elf now? Is that like Ernie’s lover? They look about the same age, but I really can’t tell the age of an Elf. 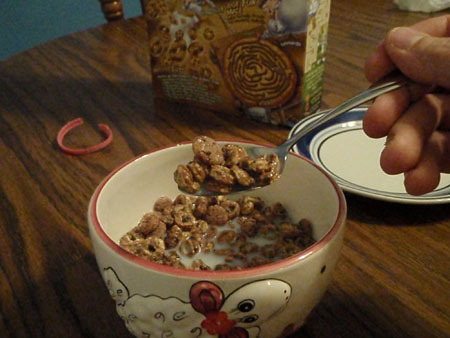 On the side there’s more fun and games to enjoy while you’re eating your cereal. This one is a maze that makes you exercise. If you cross a cookie you have to do 2 jumping jacks, if you cross over a fudge stripe you have to jump on one leg for 5 seconds and if you cross over a rolling pin, you must twirl your arms for 5 seconds. Are there actually people out there doing this? If I was a kid jumping on one leg, my mom would of yelled at me to sit down and eat my cereal. Okay let me explain the cereal, it’s cookie crisp with an extra cookie. They not only have tiny chocolate chip cookies (Chips Deluxe) in here, but also fudge stripe cookies. I guess these cookies are tiny to us, but normal size to an elf. Getting back to Cookie Crisp, what ever happened to the Cookie Crook & the Cookie Cop? Did he go the way of the Frito Bandito? I guess a thief as a mascot isn’t the best thing. But, they did have Chip the dog for awhile as a mascot. But now it seems that they have a wolf as their mascot. What gives? – Aunt Bethany, by any chance does your cat like Jello? – I don’t know about the cat, but I sure am enjoying it.. heehee hee.. Does this stuff look like cat food to you too? I dunno. Maybe it’s just me, but it looks like the cat food in the Lime Jello on Christmas Vacation. See, this empty bowl?! That means it was good! 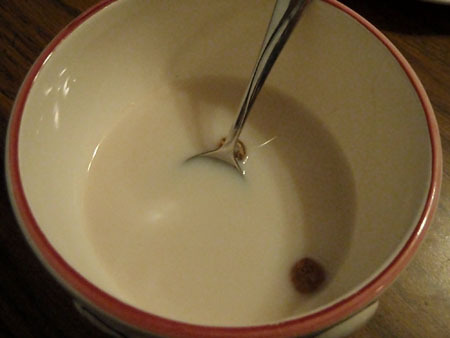 I actually really enjoyed this cereal. 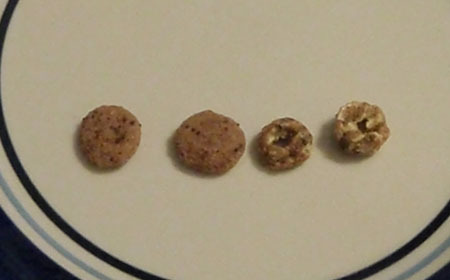 I haven’t had Cookie Crisp in years. In fact I think they’ve changed the flavor from my youth. Anyway, this on the other hand is very tasty. Each cookie has a different taste to them. I think I like the fudge stripe cookies better than the chips deluxe. But, all together it’s a great new cereal. yum! miniature fudge stripe cookies? – i’m sold! i bought these a couple of months ago and they’ve sat in the cabinet since then. I think they’re too sweet for my taste. Greg, I loved the jello line from Xmas vacation! Funny, I’m eatting Cookie Crisp right now. I will have to try this cereal (if it still exists) and compare. 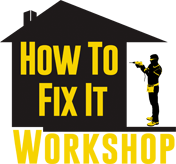 I’m experiencing some minor security issues with my latest website and I would like to find something more safeguarded. Do you have any recommendations? I wanted to thank you for this wonderful read!! I absolutely enjoyed every little bit of it. his site, for the reason that here every data is quality based information.